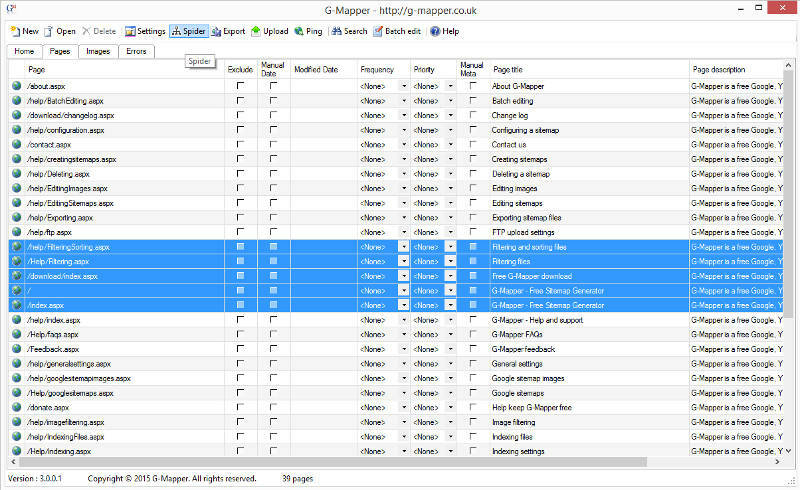 G-Mapper was originally conceived somewhere in 2004 and was a collection of somewhat unweidly VB.Net scripts used internally to manage sitemaps for clients. It quickly became apparant that a more pleasant interface would be helpful and so G-Mapper 1.0 was born. G-Mapper served its purpose well and it was decided to make it available externally to help other web designers maintain their own sitemaps. During it's initial public release in 2005 the limitations and bugs quickly became apparant as G-Mapper reached a wider and wider audience. Suggestions came pouring in and the development team started to look at ways of improving the product whilst fixing issues along the way. This lead to the release of G-Mapper 2.0 in late 2006; A much slicker, thought out product, designed to be more commerically useable in the wider web designer community. Since then G-Mapper has gone from strength to strength adding new features, improving performance and tweaking bugs. Towards the end of 2010 G-Mapper 2.5 went into beta and was separated out from db net solutions core operations. G-Mapper.co.uk was launched with the vision to provide improved help and support. In 2015 XmlSitemapGenerator.org and G-Mapper joined forces to come up with a common platform and G-Mapper 3.0 was born. 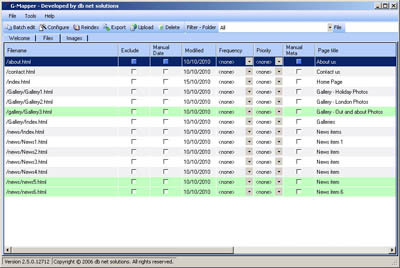 The solution uses a very similar front end to G-Mapper 2, but utilisises the better XML Sitemap Generator back and as well as a new database engine. The number of users of G-Mapper today is somewhat sketchy at this stage, but from usage data collected previously it is estimated to be many 1000's. G-Mapper continues to go from strength to strength with your support. Please continue to support us with your much apreciated donations and links. Quick tour of current version.